As cute and fluffy squirrels may look, they could cause some serious damage to your yard or garden. They could easily damage floral bulbs, nuts and fruits you are growing in your garden. Squirrels also contribute to the spread of fleas and salmonella infection. Place a guard over your chimneys to prevent access to your house from that route. Ensure your attic is clean and has nothing that could entice squirrels. Use net screens to cover windows and doors if they have to be open for ventilation. Seal cracks and holes in walls. Place a squirrel guard around bird feeders so that squirrels can’t access the feeders. Strategically place feeders/feeder poles in open spaces (i.e. away from trees) so that squirrels can’t access them. Below are 20 home remedies and natural squirrel repellants to get rid of squirrels from your house, attic, garden, and yard. The pungent smell of pure apple cider vinegar repels the squirrels. ACV is readily available and can be sprayed directly on the plants and flower pots without harming them. Spray it as often as needed to keep the little creatures at bay. If the squirrels intrude your home and are living in your attic, you may use a strobe light to deter them. The regular flashes of light irritate the pest while being harmless. The squirrels will definitely not hide in places where these lights are installed. Squirrels get extremely scared with this type of sprinklers that start to function as they sense motion on your lawn. It protects your garden from the tiny pests while watering your plants in an effortless way. Keeping your yard clean is extremely important not just to keep squirrels away but to prevent the invasion of other pests and deadly animals such as snakes. Clean away the fallen nuts and fruits that squirrels like eating. Regular cleaning makes your garden free from pests as well as augment its beauty. If the squirrels tend to dig up the planted bulbs, consider adding mulch to the soil. Squirrels find mulch unattractive and stay away from it. If the problem still exists, put some decorative stones that are heavy for them to remove or just use a mulch which is heavy in weight. Mothballs can be irritating for the squirrels. They get deterred due to the strong pungent smell possessed by the mothballs. Just spread a few balls in all the places of your home where you spot them. Don’t forget the attic as it is the most likely place for them to live and reproduce. Jalapeno pepper irritates the squirrels. When mixed with vinegar, it produces a pungent smell that is disliked by them. Make a spray solution by mixing jalapeno pepper and vinegar. Spray it in your attic to check their entry. If the squirrels are destroying the bird feeder, consider mixing the seeds with some safflower seeds. The bitter taste of the seed will not bother the birds but will angst the squirrels, keeping them away in a natural way. Foxes are natural predators of squirrels and the little creatures will always stay away from places frequently traversed by a fox. You can use fox urine if you find it in an online store or from the zoo to prevent the entry of squirrels in your garden and house. Fill a spray bottle with the fox urine and spray it in the attic and near the plant beds to deter squirrels. If you own a dog who likes to play in the garden, it could help you to scare away the naughty pests, such as squirrel, from your home. They can easily hunt for squirrels and scare them far away from your place. If you like growing a lot of veggies that get damaged by squirrels, consider creating a separate greenhouse that prevents the entry of the squirrels into it. Make sure you keep the greenhouse locked at all times. It will also protect your plants from many other pests and birds. If the squirrels are digging up the soil near the plants, consider laying gravel. This will make digging difficult and discouraging. Also plant bulbs that squirrels do not like such as daffodils, allium, and snowdrops. Daffodils are toxic to them and they will not cause any damage to them. Live trap is one of the best home remedies to catch live squirrels and relocate them to another place. It is a more humane way to get rid of the pests without killing and harming them. Buy a squirrel trap from a local store and put some food such as nuts and seeds that squirrels can’t resist. As they come into the trap to eat the food, they get trapped. Keep a watch over the traps for any trapped squirrel. If you are planning to relocate it later, provide enough food and water for it to survive. It is best to relocate them as soon as they fall into the trap. The strong smell of mint discourages the squirrels from intruding into your garden or home. Place a few pots with the fresh mint plant to deter them naturally. Collect human hair or dog hair (if you have one) and put them in places where the squirrel mostly visit. This will scare them, as they would think a human is closeby, and make them leave your place. You can also get human hair from a nearby salon. Put them in a bird feeder and at the base of plants to prevent the damage caused by them. When squirrels are causing a nuisance in your attic, nothing works better than an ultrasonic repellent. This device creates an ultrasonic wave that is not audible to the human ear but can highly irritate the squirrels deterring them from your house. Squirrels love to feast on peanut butter but when it is mixed with aspirin, it can be used to deter them. 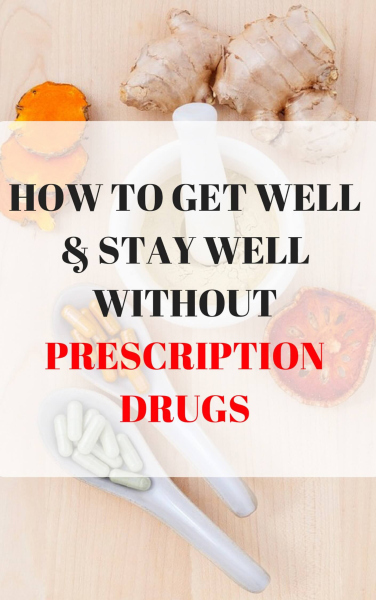 Crush some aspirin tablets and mix it with peanut butter. Spread this thick paste in your attic and near the pots in your garden. The aspirin literally poisons the squirrel. Squirrels may get attracted to your home to find leftover food in the trash bin. Keeping the trash bin sealed will prevent attracting squirrels and other pests. 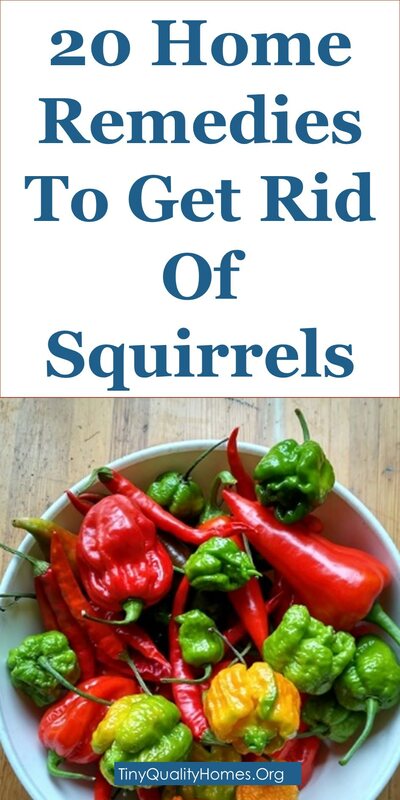 Cayenne pepper is known to repel squirrels in an effective way. Just sprinkle some of it on the bird seed to prevent them from damaging the bird food. You may also sprinkle it everywhere else to deter them from your home and garden. Creating a fence will help you get rid of the squirrels for a long time. You may use netting to protect your plants from them or create a fence over the entire plant bed to prevent them from reaching your plants. The fence should be 8-12 inches below the ground or the squirrels will come digging through the soil.